This Action contributed to the implementation of the Project of Common Interest (PCI) 8.2.3. capacity enhancement of Klaipeda-Kiemenai pipeline in Lithuania. 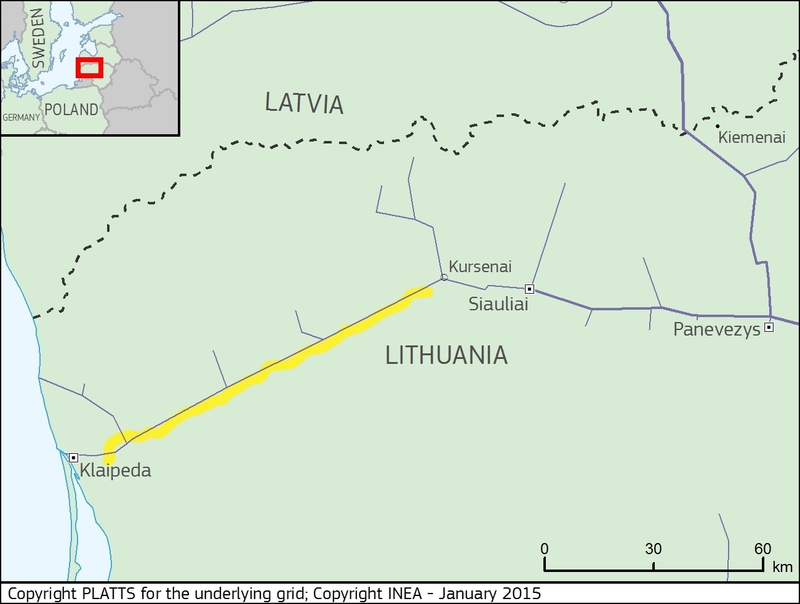 This Action involved the construction of the Klaipeda–Kursenai gas transmission pipeline, which connects the LNG (liquefied natural gas) terminal infrastructure in Klaipeda to the gas transmission system towards Kursenai. The +/- 111 km pipeline has a nominal diameter of DN 800 mm (DN 250 mm and DN 150 mm of the bypass line in valve stations and exhaust pipes) and a designed pressure of 5.4 MPa. The construction of this pipeline has eliminated a bottleneck in the gas transmission system and has enhanced the capacity of the Klaipeda-Kiemenai pipeline, enabling the transport of substantial gas volumes (up to 10.3 mcm/d) from the new supply route (the LNG terminal in Klaipeda). Furthermore this Action has contributed to enhance security of the gas supply and competition in the gas market of the Baltic states.